A New York state Senator is the latest lawmaker urging the federal government to take action on oil transportation along the Hudson River. New York State Democratic Senator Terry Gipson has penned a letter to federal representatives urging the federal government to take action to protect communities, the environment, and the local economy from the ongoing risks of crude oil transportation on railways, specifically along the Hudson River. “We’ve just been very concerned about the shipment of the oil in these DOT-111 cars since they have continued to have accidents across the country, most recently in Lynchburg, Virginia, along a river which is a very similar circumstance to what we have at the Hudson where we have railroads running very close to the river,” says Gipson. He refers to the April 30th explosion of a crude oil train that derailed in Lynchburg, Virginia. Hours before the derailment, New York Governor Andrew Cuomo had written to President Obama requesting immediate action to enhance rail safety. Gipson says certain Dutchess County communities in his district are especially vulnerable. He also says the region’s economic dependency on tourism is at risk. 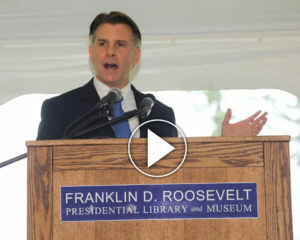 Gipson’s letter addresses New York’s two senators along with two area Congressmen – Republican Chris Gibson and Democrat Sean Patrick Maloney. Maloney is all for enhancing rail safety, including replacing Department of Transportation 111 cars. 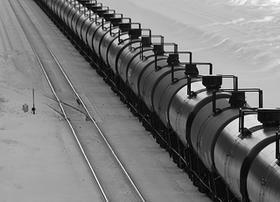 Gipson is urging the federal government to immediately ban the use of DOT-111 cars in transporting crude oil of any kind, in favor of safer 112 and 114 railcars; immediately issue new rules implementing the baseline National Transportation Safety Board safety recommendations for crude oil transport by rail; and immediately initiate an open, public process for developing new rules and regulations for train safety, spill response, rail operations and oversight, and public notification of risk for all energy-by-rail transportation. Maloney says he would like to see the new CSX first responder training initiative SAFE announced in April come to Newburgh. CSX’s first responder training initiative was scheduled to begin the middle of this month. In New York, CSX plans training in Kingston and Albany, among other locations. The training will travel over much of the company’s crude oil service territory over the next several months.